I collected black and white prints for a long time with the intention of putting them together for a quilt. Finally I had enough to work with and this quilt was born. 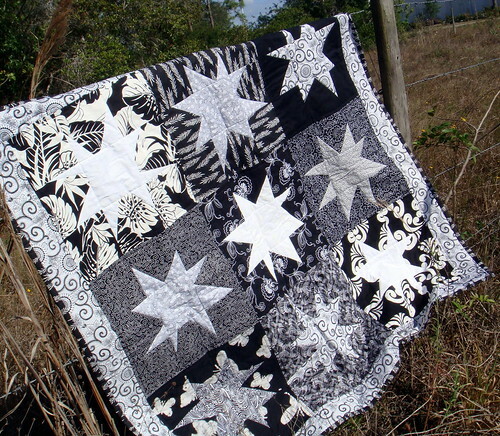 The idea for the quilt came from the stars made for the Bushfire Quilt Project. 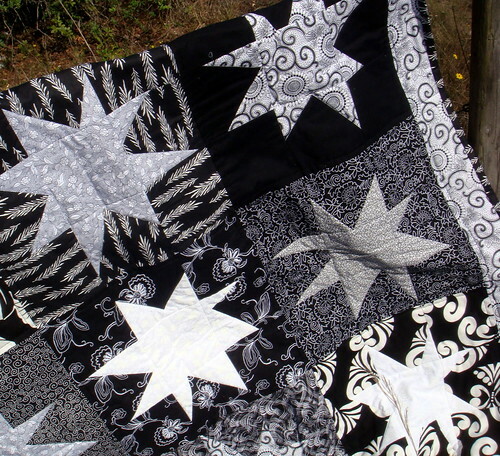 While I was making the squares I donated I knew I'd eventually use the star technique to make a quilt of wonky maverick stars ... it's fun, easy, and looks awesome in the end. 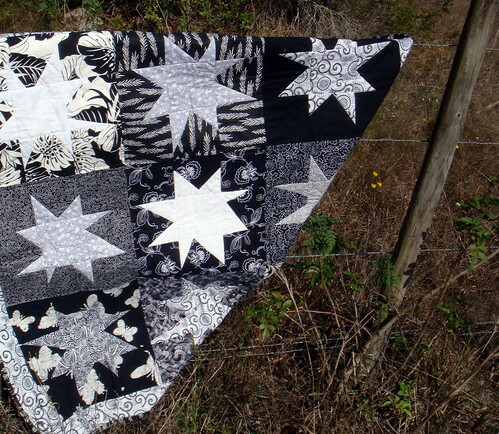 I had a few different ideas in my head for the black and white fabrics and the star idea won out in the end, though I expect I'll try a few others too. 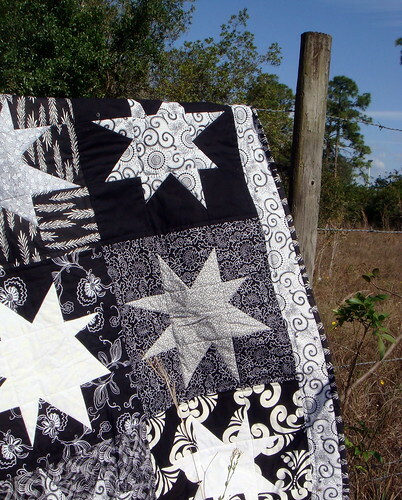 Very simply, the stars are crafted from white or on-white fabrics, the backgrounds from black or on-black. I alternated darker and slightly lighter background squares. The border is white with black swirls, and the binding is black with white. The quilting is done "in the ditch" on the stars and about 3/8" on both sides of the edges of the background fabrics. I used white thread around the stars, and black on the edges. 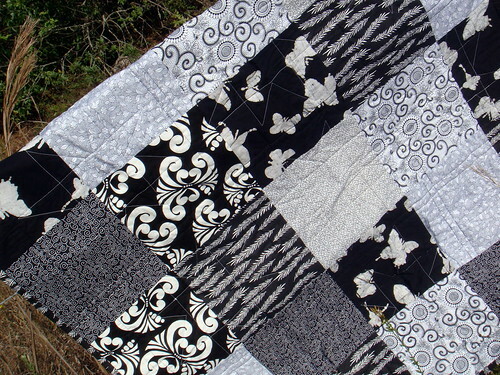 The backside is squares of black and white fabrics. I love the background for your photos and I love the kind of bravery which allows you to so. My kids would just die if I did that but I would anyway. I am sure they will be as wacky as me when they get to my age too. oooh my this is beautiful. i've been wanting to do something with those stars...on the list. love that you jumped out of the car to take these shots! i'd love to hear the guys watching tell their friends..."well, i was riding my bike and you'll never guess what I saw..."